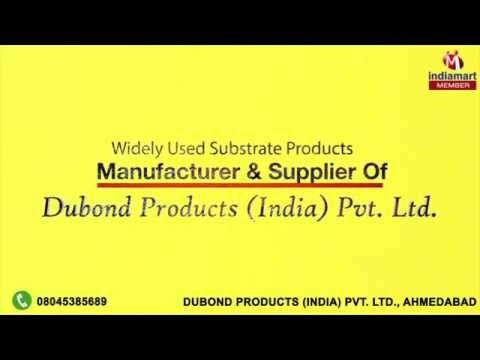 Welcome to Dubond Products (India) Pvt. Ltd., established in the year 2009, we are engaged in manufacturing and supplying a quality approved range of Water Ceiling Product. Our product range includes DU GO SL, DU Plast 20 and Du Cem. The offered range of products is manufactured by taking quality assured components and innovative manufacturing methods under the supervision of our adroit professionals. All our products are made as per the industry laid standards and norms. These products are highly appreciated across the market for their premium quality and long shelf life. We are committed to offer superb quality products to our respected clients. For this, we have appointed a team of well qualified and experienced professionals who are well versed with this domain. In order to tune up with the ever changing technology, we have established an in-house research and development unit. Owing to this, we have earned a huge client base in short period of time.